Tara Schroeder, RYT & CPT, is a Certified Yoga Teacher by The Kripalu School of Yoga and Certified Personal Fitness Trainer by the Aerobic & Fitness Association of America. She has been trained with Lotus Palm Centre staff to incorporate Thai massage into yoga classes to make adjustments and postures more profound. She completed SUP (Stand Up Paddleboard) Yoga Teacher Training in 2017 with Michelle Clarke of Full Moon Paddleboard. She is also CPR/First Aid and AED certified, and a member of the Kripalu Yoga Teachers Association. 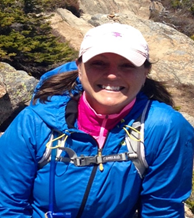 Tara currently lives in Chocorua, NH, and has spent many years hiking, guiding, teaching and coaching in the Mount Washington Valley after earning her Bachelors degree at Bowdoin College and Masters degree at Audubon Expedition Institute. After 16 years as a yoga student and 11 years of working for environmental non-profit conservation organizations, Tara decided to combine her passion for health, wellness and conservation and launched Green Turtle in February of 2012. Tara leads all-levels Kripalu yoga classes, SUP yoga, Thai yoga, Prenatal, Kids' and Munchkin yoga classes, special events and retreats for Green Turtle. Michelle Demars is a 200hr certified yoga teacher registered with Yoga Alliance. She’s been a registered nurse for twenty years and now shares the healing power of yoga with everyone from kids to seniors. Michelle is a perpetual student with a daily meditation and self-study practice. She is BLS/ACLS certified. She’s attended ChildLight Yoga Training and Yoga for Back Care with Liz Owens. Michelle lives in Tamworth, NH where she loves to garden, hike, bike, trail run, snowshoe, cross country ski and of course…practices yoga!